Israeli policemen arrested at noon Monday two Palestinian women after coming out of the Aqsa Mosque in Occupied Jerusalem. Local sources told the PIC reporter that the Israeli policemen detained two Palestinian visitors of the holy site and held the identity card of a third Jerusalemite woman, who was released later. The arrested women were taken to Qashaleh investigation center in Occupied Jerusalem. In a similar context, the Israeli Ofer military court ruled the administrative detention of the Palestinian journalist Alaa al-Titi for four months for working for al-Aqsa TV Channel. Titi’s family said they have so far been disallowed to visit him. Head of Ahrar Center for Prisoners Studies and Human rights Fuad al-Khuffash said Titi was detained twice before this time in 2002 and 2006. Khuffash said the IOF targets Palestinian journalists, calling for an international action among the organizations concerned with the freedom of journalism for the release of Palestinian pressmen held in Israeli jails. Palestinian journalist Osaid Amarneh has been on hunger strike for eight days running in protest at his arbitrary detention in the prison of the Palestinian Authority (PA) preventive security apparatus in Bethlehem city. Sources related to the family of the prisoner told the Palestinian Information Center (PIC) that Amarneh started his hunger strike about one week ago after the PA preventive security managed to extend his detention for the second time without leveling charges based on evidence or legal arguments. According to the informed sources, the lawyer of Amarneh tried more than once to have him released on bail, but the preventive security was always fabricating charges without evidence to convince the judge to decline his release. For its part, the family of the prisoner said that Amarneh was arrested as a result of his work for the Aqsa satellite channel and for political reasons, and appealed to the Palestinian syndicate of journalists and human rights groups to intervene to have him released. The preventive security apparatus had arrested Amarneh in last February upon his arrival at its headquarters in Bethlehem after he received a summons for interrogation. 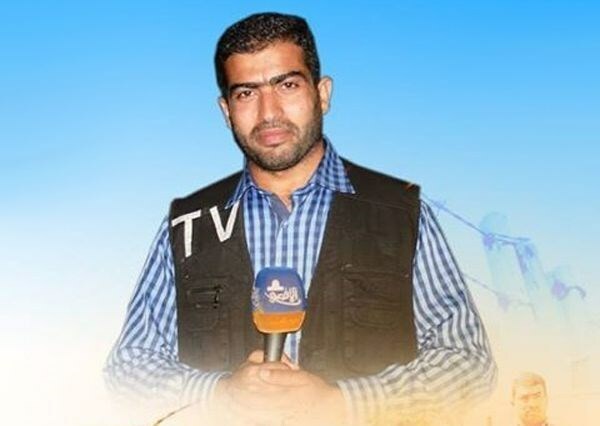 The Palestinian Center for Development and Media Freedoms-Mada, in turn, strongly denounced the PA preventive security apparatus for detaining journalist Osaid Amarneh without indictment and demanded his immediate release. Mada stated in a press release on Monday that a request submitted for the fourth consecutive time for the release of Amarneh was rejected by a PA court, although the preventive security failed to file an indictment against him. Israeli soldiers attacked, Friday, the weekly protest against the Annexation Wall and settlements, in Kufur Qaddoum village, near the northern West Bank city of Qalqilia, wounding three Palestinians, including cameraman working for a European news agency. The villagers hold weekly protests also demanding Israel to reopen the village’s main road that the army closed with concrete blocks thirteen years ago. 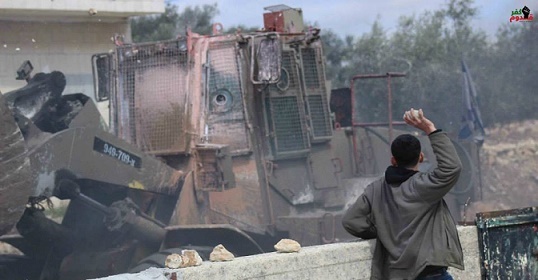 Murad Eshteiwy, coordinator of the Popular Committee in Kufur Qaddoum, said the soldiers used excessive force against the protesters, and fired rounds of live ammunition and gas bombs, in addition to spraying the protesters with wastewater mixed with chemicals. The attack led to clashes between dozens of local youths and the invading Israeli soldiers. Two Palestinians, identified as Mohammad Jom’a, 17, and Mohammad al-Baz, 22, were injured by rubber-coated metal bullets, while Palestinian cameraman working for a European news agency suffered various cuts and bruises. The photographer was hurt after falling to the ground as a number of soldiers were pushing him around, along with other journalists, in an attempt to force them to leave. 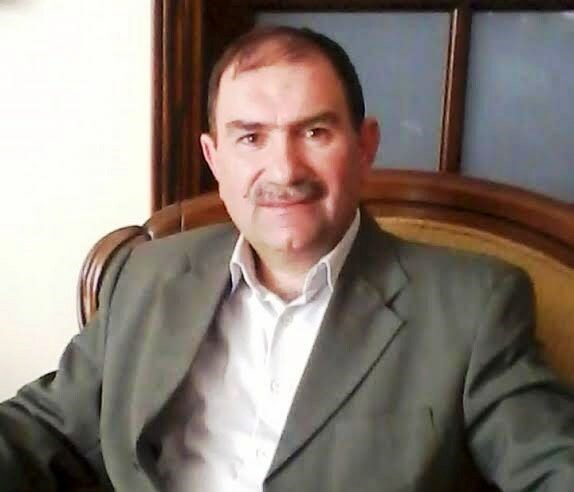 Eshteiwy said a number of soldiers ambushed the protesters in an abandoned olive mill building, and detained Zahi ‘Ali, 47 years of age, for several hours before releasing him. He added that the soldiers deliberately sprayed the home of Zohdi Eshteiwy with wastewater, before topping the building to use it as a military tower; soldiers also used the building to fire on the protesters. Hamas Movement has raised alarm bells over the deterioration of the health status of prisoner Asid Amarna, held at the Palestinian Authority (PA) lock ups, calling for immediately releasing the detainee before it is too late. Hamas has spoken out against the passive role played by the human rights institutions and press organizations operating in the Palestinian territories vis-à-vis the arrest of Amarna, a journalist working for al-Aqsa TV Channel. Hamas statement has come at a time when the Britain-based Arab Organization for Human Rights (AOHR) issued a similar press release warning that Amarna, detained by the PA Preventive forces for over a month, suffers sharp health deterioration. The Palestinian captive has been held in custody without specific charges or legal justification and in very dire detention circumstances, the AOHR statement further read. Another journalist, identified as Hisham Abu Shagra, along with five ex-prisoners, are still held at the PA detention centers, the Hamas statement further pointed out, calling on Bethlehem activists to urge the PA apparatuses to stop their violations of Palestinians’ human rights and cease arbitrary political arrests. The PA forces, meanwhile, apprehended the 26-year-old journalist Radhi Karama, from al-Khalil city, after having stormed his family home and heavily beating him up on Wednesday morning. Earlier, a few weeks ago, the PA apparatuses rounded up Radhi’s brother, Jamal, and released him sometime later. Israeli policemen stormed on Monday QPress news agency in Umm al-Fahm city in 1948 Occupied Palestine, arrested four of the staff and confiscated archive files in addition to computers. PLS48.net website mentioned the names of the four Palestinians who work at the agency, revealing that the Israeli policemen rounded up the four and took them to an unknown destination. QPress agency is concerned with Jerusalem and Aqsa Mosque issues as well as documentation of the Israeli harassment and offensive practices including breaking into the Aqsa Mosque. The Israeli occupation authorities have recently accelerated its incursions into pro-Aqsa and holy sites institutions. The French cartoonist Zeon was arrested Tuesday morning by four police officers of the Brigade of repression of delinquency people (BRDP). At 7am four police officers woke the cartoonist to take him before the judge to the High Court Instance of Paris. A complaint appears to have been filed by the BNVCA (National Bureau of Vigilance against Anti-Semitism). 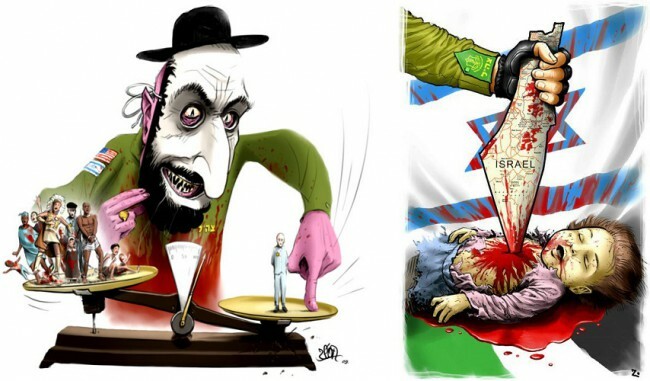 The complaint seems to refer to the drawing – for which Zeon had yet been released last year by the 17th chamber – representing a balance and unbalanced weight of several historical crimes, but also for another drawing, which was not retained the prosecutor at the trial, representing a Palestinian child stabbed by a knife-shaped Israel. 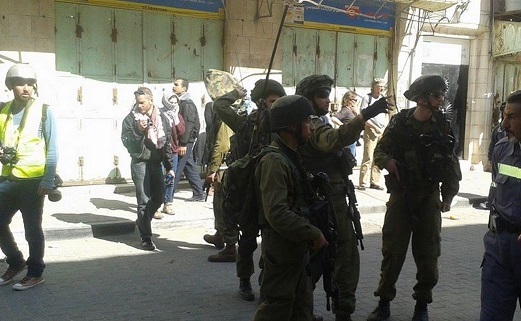 Israeli soldiers prevented, Tuesday, a group of 60 journalists, members of the Central Bureau of Journalists, and other media organizations, from entering the Ibrahimi Mosque, in the southern West Bank city of Hebron. The soldiers told the journalists that they needed to remove all of their Palestinian kufiyas (traditional patterned Palestinian scarves), but they refused and held a protest in front of the mosque while chanting slogans against the illegal Israeli occupation, its immoral restrictions on freedom of religion, and freedom of expression. The journalists visited various media groups in Hebron, and toured in its Old City, severely impacted by Israel’s illegal restrictions and closures. The Palestinian Journalists Syndicate strongly denounced the Israeli violations, and called on the European and International Journalists unions to intervene, and exert pressure on Israel to end its violations, and to void its illegal restrictions on journalists in different parts of occupied Palestine. The Syndicate called on European Unions to act beyond statements of condemnation, and to file lawsuits against Israeli officials and lawmakers. It is worth mentioning that the visiting journalists held separate meetings with Hebron Governor Kamel Hmeid, and the head of the Hebron Chamber of Commerce Mohammad Ghazi Harbawi, and discussed the impacts of Israel’s ongoing violations and restrictions on the Palestinians, and their economy. 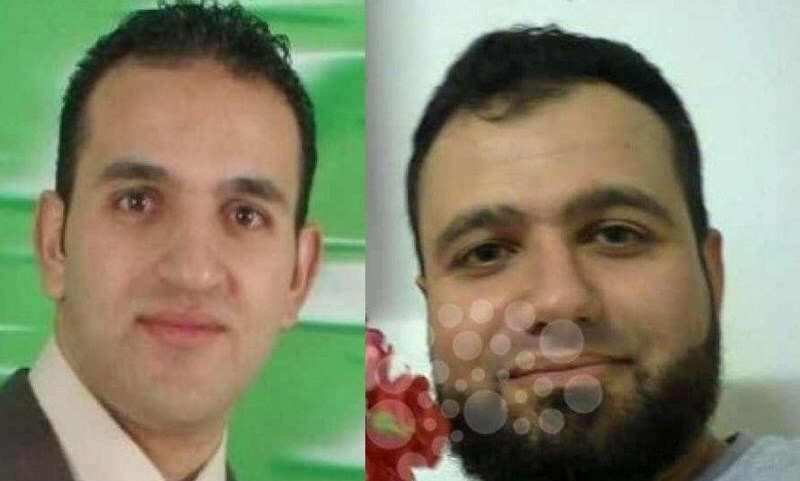 The International Federation for Human Rights and Development on Monday urged the Palestinian Authority (PA) security apparatuses to release the 29-year-old Palestinian political prisoners Islam Hasan Hamed and Asid Amarna. The International Federation said in a statement the ongoing detention of prisoner Hamed is a flagrant violation of the Palestinian and international humanitarian laws. Prisoner Hamed was arrested by the PA forces from his own home, without prior notice, on September 4, 2010 on charges of inciting against the PA. The federation quoted Hamed’s wife as reporting that her husband was subjected to psycho-physical torture at the PA lock-ups. She said Hamed, along with 20 Palestinian inmates, have been incarcerated in a small, underground cell at the Ramallah-headquartered intelligence lock-up under very dire circumstances. Captive Hamed was diagnosed with hypertension and the jaundice syndrome due to the PA’s medical negligence. 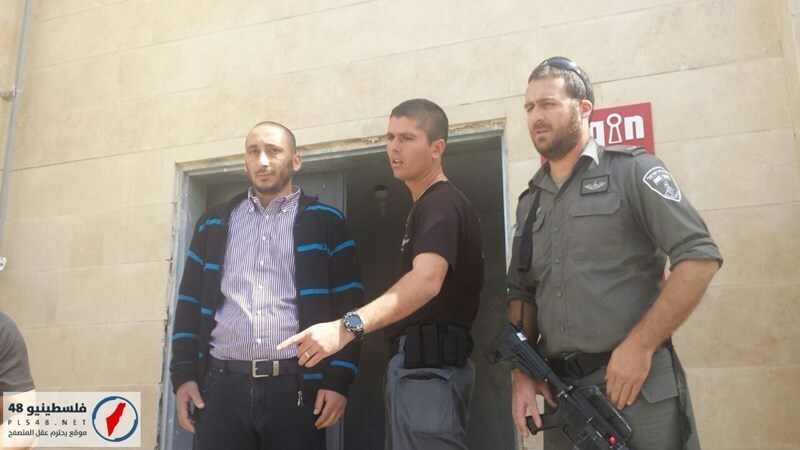 The PA apparatuses reneged on promises to release Hamed despite the family’s frequent appeals. The PA further turned blind eyes to a couple of court issues acquitting Hamed and ruling for his release. The federation said Hamed’s detention stands in sharp contrast to Palestinian laws, for it has neither been based on a bench warrant nor on proven charges. 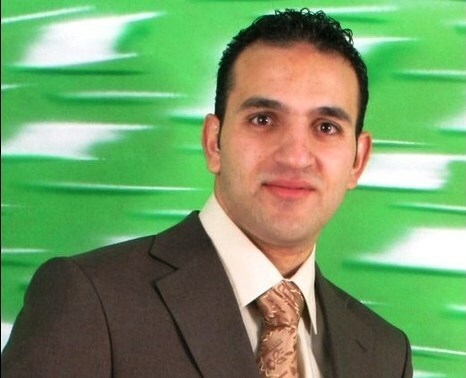 The human rights group further urged the PA preventive security forces to release journalist Asid Amarna and to stop chasing down journalists. On February 23, the PA preventive security summoned journalist Amarna for interrogation and arrested him upon his arrival at its headquarters on charges of spreading sectarian strife. Prisoner Amarna has been subjected to much pressure by the PA forces in an attempt to get his Facebook password, the federation said, pointing out the appalling conditions Amarna has been made to endure at the Bethlehem detention center. The group quoted prisoner Amarna as saying, during a Wednesday court hearing, that he has been locked-up in a toilet. For his part, journalist Amarna started an open-ended hunger strike in protest at the extension of his detention for 15 days pending interrogation. The federation called on the PA security apparatuses in the West Bank to respect the freedoms of the press and of expression and to stop persecution of Palestinian journalists. 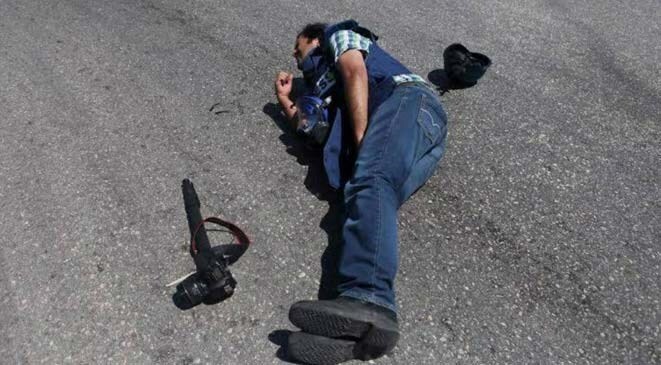 A Palestinian photojournalist on Friday afternoon suffered a serious injury as he was covering Israeli soldiers' assaults on participants in the weekly anti-wall march in Bil'in town, west of Ramallah. Eyewitnesses said that one of the soldiers fired at close range a rubber bullet at the head of Rami Elariya, who works for al-Quds News newspaper, causing him a skull fracture. The journalist was rushed to a hospital in Ramallah to receive urgent medical treatment. Marking the 10th anniversary of the launch of the popular resistance against Israel's settlement activities in the town, hundreds of Palestinian and foreign activists along with national figures and lawmakers participated yesterday in the Bil'in march. Violent clashes broke out during the march when Israeli troops showered the participants with a hail of tear gas and stun grenades. The Bethlehem Magistrate Court on Thursday extended the detention of the Palestinian photojournalist Asid Amarna, 30, for 15 days on charges of undermining the Palestinian Authority’s prestige. A PIC news reporter quoted Amarna’s family as saying that their son was charged by Bethlehem’s Magistrate Court with undermining the prestige of the PA through his work as a cameraman for al-Aqsa TV Channel in the southern West Bank. For his part, journalist Amarna started an open-ended hunger-strike in protest at the extension of his detention. The prisoner’s family slammed the Palestinian authority (PA) apparatuses for extending his detention, saying his detention violates the freedoms of speech and the press. Amarna’s family members urged the Palestinian Journalists Syndicate and human rights institutions to immediately step in and work on having him released. 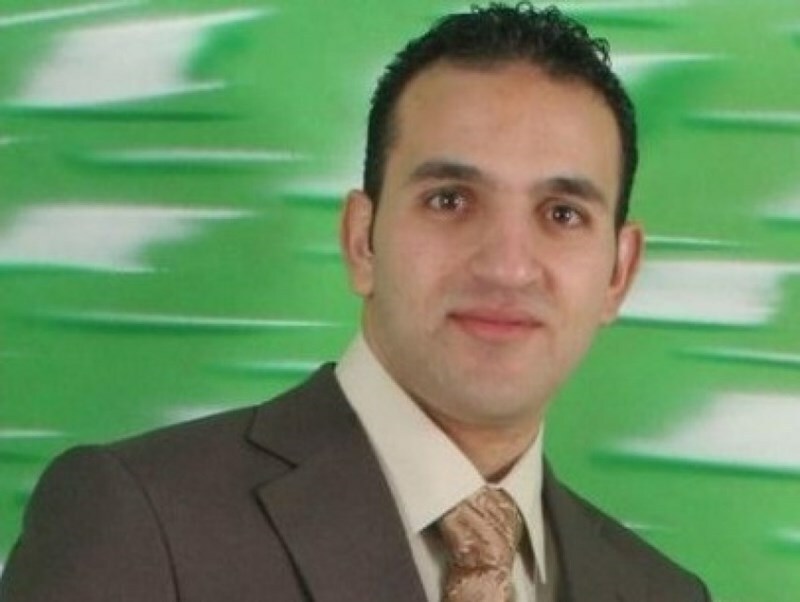 On February 27, the PA preventive security summoned journalist Amarna for interrogation and arrested him upon his arrival at its headquarters. Prisoner Amarna has been summoned for interrogation by the PA apparatuses several times before and had spent a total of five months in PA jails due to his work for the Aqsa satellite channel. An Israeli court has extended, for the third consecutive time, the administrative detention of director of the Aqsa satellite channel Aziz Kayed, 50, for another four months. Kayed's family told the Palestinian Information Center (PIC) that his lawyer had told it about the court approval of the prosecutor's request to extend his detention administratively for four months. According to Ahrar Center of Prisoners' Studies and Human Rights, during the second extension of Kayed's detention, the court ordered his release on February 26 before the Israeli prosecutor recently managed to extract another extension verdict against him. The Center affirmed that many of the employees and journalists of the Aqsa channel had been exposed to arrests in the West Bank at the pretext of the channel's affiliation with the Hamas Movement. Senior Israeli defense correspondent Alon Ben-David, Monday, warned of the consequences of keeping a firm grip on Gaza, noting that it will blow up in Israel's face not Egypt's. Meanwhile, Ismail Haniyeh, of the Hamas party, stated Sunday that Palestinian resistance will remain directed towards the Israeli occupation, and will not be involved in any conflict with a third or Arabic party. Ben-David explained, in a report, that the situation in the Gaza Strip has become worse than ever, with the delay on reconstruction projects, as donor funds remain largely inaccessible. Al Ray reports that the affected people, whose houses bombed during the last Israeli offensive against Gaza, are buying cement on the black market, as they do not have the money to rebuild their homes. "Given that Hamas is not interested in any escalation with Israel, this status will not last forever," Ben-David noted. He further explained that, as the humanitarian crisis in Gaza gets worse and worse, with more than 25 families now homeless, Hamas will be forced, as there is no another choice, into another military escalattion with Israel. He pointed out that Hamas keeps working on developing the capabilities of medium and short-range missiles in order to prove their ability to inflict considerable damages more than other types. Default Hamas rockets are typically crude constructions, equipped with no guidance system and lacking little relative force, in comparison to the weapons used against resistance forces and Gaza civilians by Israel. Furthermore, the projectiles tend to fall in sparsely populated areas of the Negev. 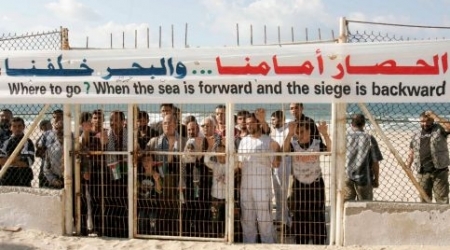 Regarding the establishment of a sea port in Gaza, Ben-David said that senior Israeli officers and leaders in Israel's security services no longer reject this idea. He suggested that a small artificial island could be built off the Gaza shore, connected by bridge with Gaza, to be as a port. "We could destroy it in case of any escalation," he said. He said that this idea has gained the support of Israeli army for the first time since its withdrawal from Gaza. It will also clear Israel from responsibility towards Gaza. Al Ray further reports that the deputy chairman of Hamas' political bureau, Ismail Haniyeh, stated on Sunday that the weapon of Palestinian resistance will remain directed towards the Israeli occupation and will not be involved in any conflict with a third or Arabic party. During a visit to a number of freed detainees in Rafah, in the southern Gaza Strip, Haniyeh said that Hamas as well as its military wing, the Izz ad-Din al-Qassam Brigades, will not be entering into any such conflict. "Although we are not satisfied with the siege and creating the buffer zone, the Egyptian army is not an enemy and we will not turn the gun towards them," he stressed, adding that the weapon of Palestinian resistance is for fighting the Israeli occupation. Egyptian media insists on alleging that Hamas and its military wing of carrying out terrorist attacks in Sinai, and Hamas, in turn, refuted these allegations. A boost in Egyptian security services began last October an eviction campaign along the border with Egypt. They announced that they will create a buffer zone 500 meters wide and, then, modify it to one kilometer. The Egyptian military has evicted residents from more than 680 houses since the beginning of the campaign, displacing thousands of Egyptian Bedouins. In a statement published on the official website of the Egyptian Ministry of Defense, the army attributed the creation of the buffer zone to existence of underground tunnels. Since the ousting of Egyptian ex-president Mohammed Morsi, in July of 2013, the relationship between Egypt and Hamas has been under strain, as Egyptian authorities tighten security measures along the border with Gaza, in coordination with Israel. It has reportedly destroyed all tunnels, in addition to blocking Rafah border crossing save for a few days, with regard to humanitarian cases. Israeli settlements existed in Gaza until Israel evacuated them in 2005, under a unilateral disengagement plan. Following this move, the siege was imposed and the conflict in the region increased to a devastating level. The Forum of Palestinian Journalists (FPJ) strongly condemned Sunday the Israeli deliberate targeting of and massive campaign against Palestinian media institutions. The Forum’s statement came in the wake of the Israeli decision to ban al-Aqsa TV channel in the West Bank, and the Israeli pressures to remove Shehab News Agency Facebook page. The Israeli military order to ban al-Aqsa TV channel came following a number of arrests targeting the employees working in the channel including the journalist Alaa al-Titi who was arrested on January 22, the statement pointed out. The Forum said that such a decision fell as part of Israel’s suppression policy and attempts to cover up its crimes against the Palestinian people. The statement slammed the PA and international media institutions’ silence over the Israeli decision, warning of more Israeli repressive practices against journalists and media institutions. The statement also pointed out that the online social networking website Facebook has removed on February 17 Shehab News Agency page, after a massive Israeli incitement campaign demanding that the page be shut down immediately although it had gathered more than 3 million participants. The Forum expressed surprise over Facebook’s double standards policy against Palestinian-run pages, calling on its administration to reconsider and cancel its decision. The Forum also called on international media institutions to pressure Israel to stop its violations against Palestinian journalists.